Over the last couple of years, you've been able to talk to the Google Assistant to get things done. 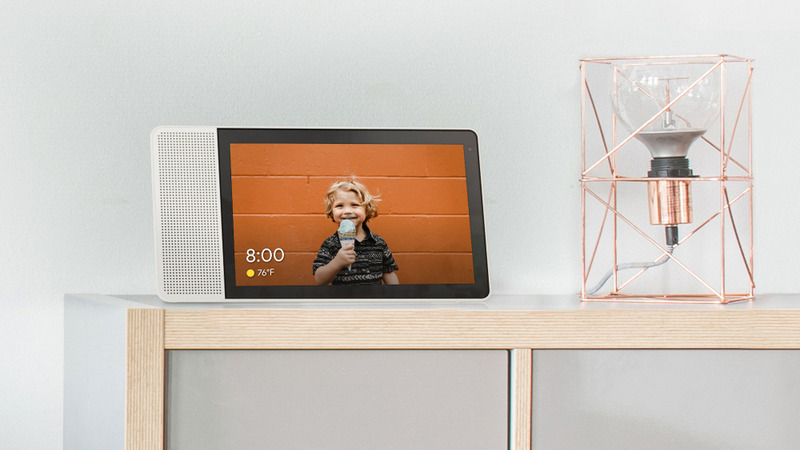 Today we’re launching Smart Displays, a new category of devices for the smart home that brings the Google Assistant to an interactive screen for a richer visual experience. 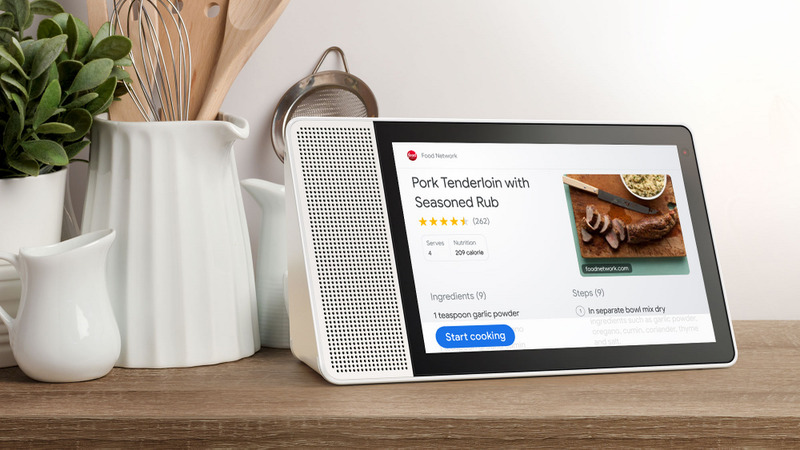 And the first Smart Display from Lenovo will go on sale in major U.S. retail and online stores this weekend. 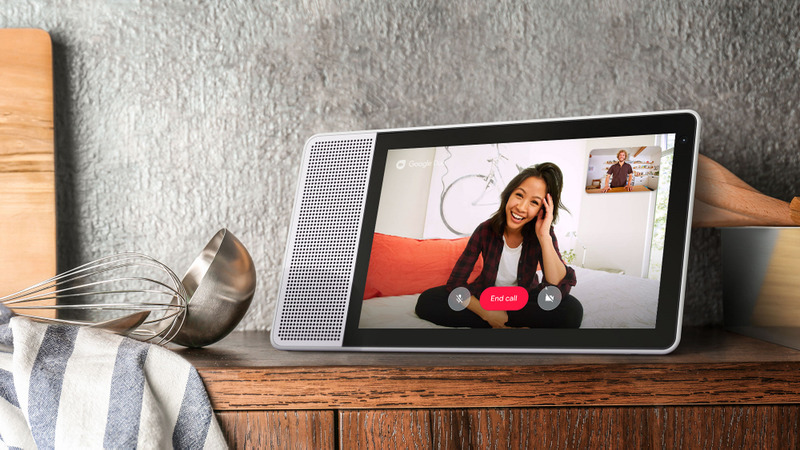 With the Google Assistant built in, the Lenovo Smart Display brings you the best of Google services, including Maps, YouTube, Calendar, Duo and Photos, in a visual and helpful way. 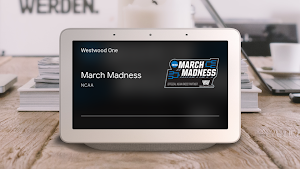 It’s easy to set up, so you can immediately enjoy your favorite entertainment, control your smart home, stay in touch with friends and family, and manage your day with simple voice commands and touch gestures. Ask YouTube to play anything: how-to videos, cooking videos, product reviews, you name it! 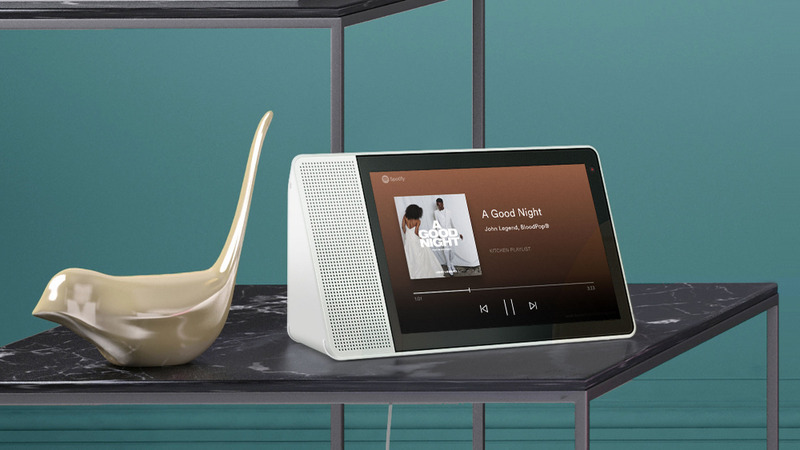 And, with every Smart Display, you get three free months of YouTube Premium (for new subscribers). If you have a YouTubeTV membership, you can enjoy live or recorded TV in your library, no remote control necessary.The next time you want to turn on the game, you can say “Hey Google, watch ESPN” to start streaming. Many other popular video services are supported too, including HBO Now, Google Play Movies & TV and Crackle. 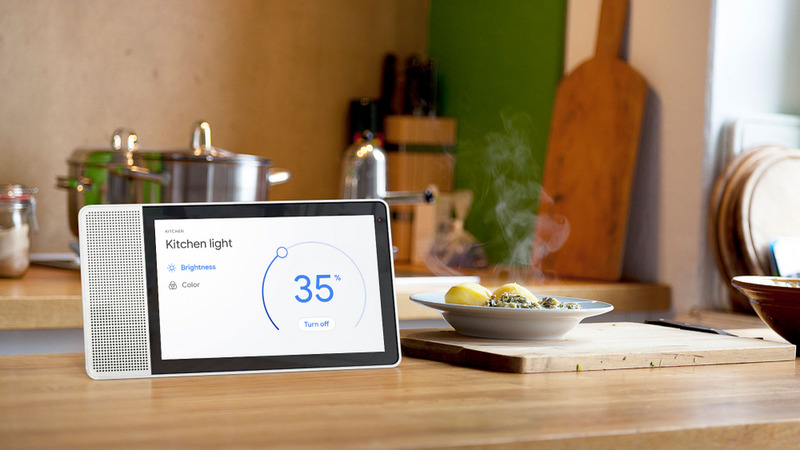 Your Assistant can even help you prepare a great meal on Smart Displays. Browse through thousands of recipes, then the Assistant can provide step-by-step hands-free guidance on screen. Of course, you can set timers and play music while you cook. Google Assistant Routines makes it even easier to stay on top of your day using your Smart Display. 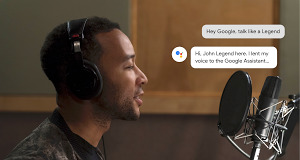 Just say “Hey Google, good morning” to get a verbal and visual summary of the weather, traffic to work, reminders, your agenda and then play a video news brief from your preferred news sources. 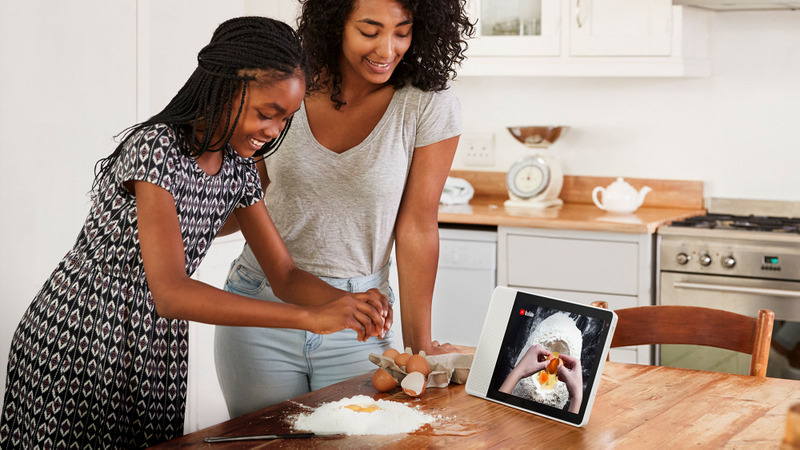 With video calling on Google Duo, you can instantly connect with your closest friends and family on Smart Displays. Duo is also built in on Android phones and available for free on iOS, so you can call your friends and family hands-free across devices. Just say, “Hey Google, call Rachel” to start a high-quality video or audio call. The Smart Display is also a delightful way to enjoy Google Photos. When you’re not using your Smart Display, the screen can serve as an always-on digital photo album. 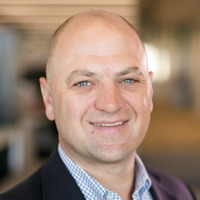 And you can just ask the Assistant whenever you want to see specific pictures of a family vacation or other special moments with the important people in your life. Just ask “Hey Google, show me the family room" to check on things with the Nest Cam. 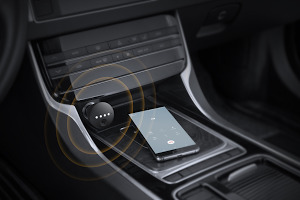 Turn up the thermostat, dim the lights or change the color—all with your voice or a simple touch screen control. 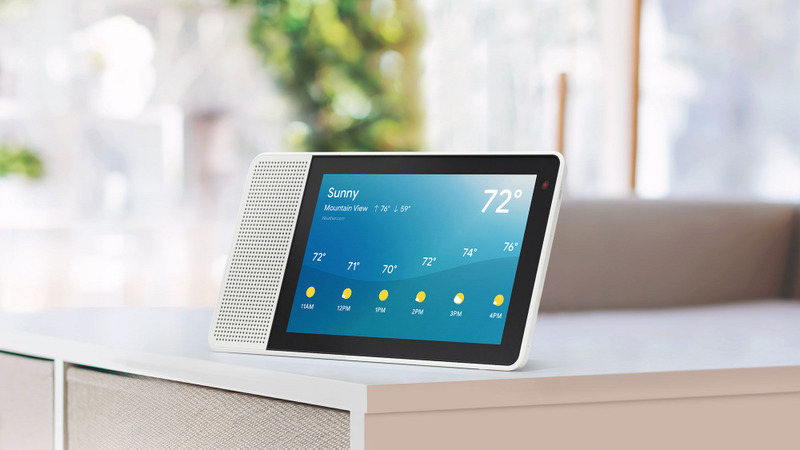 The Lenovo Smart Display is available in two display sizes and colors: the 8-inch HD version for $199.99 and the 10-inch Full-HD version for $249.99, and they both come with a full-range 10 watt speaker for loud and clear audio. You can grab it on shelves or online at Walmart, BestBuy.com, Amazon.com, Costco.com, SamsClub.com, Lenovo.com and other stores. We’ll expand the Smart Display options with other partners, including JBL and LG, coming soon. And while there are over 1 million Actions already available for the Assistant, we’re excited to see what developers will design for Smart Displays, too.